This autumn sees the launch of a brand new focal point at Loughborough University that supports entrepreneurial students to develop businesses, and local companies to prosper. 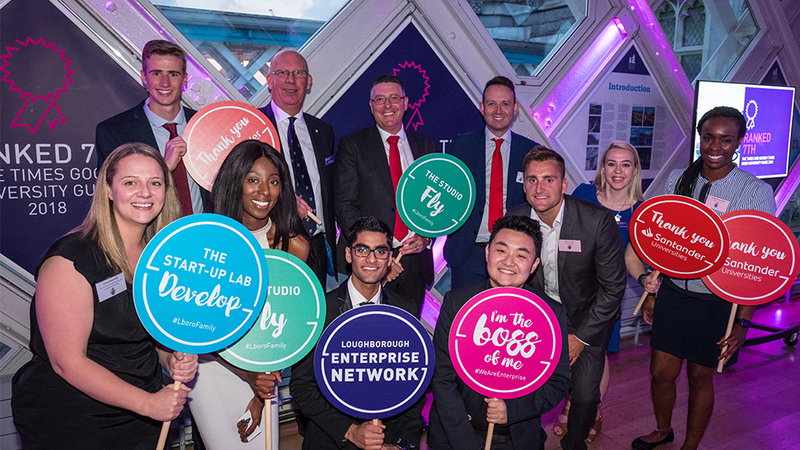 Thanks to funding from Santander Universities Enterprise and Entrepreneurship Fund, the University will create The Start-up Lab: an incubator, accelerator and training space for students and the local business community. The Loughborough Enterprise Network (LEN) was launched last October to support students and graduates throughout their enterprise journey. It brings together The Hub in the Students’ Union that inspires students to think big and engage in competitions and events, and The Studio, based at the University’s Science and Enterprise Park, which helps graduates to launch and scale new businesses. The Start-up Lab is the missing piece of the puzzle to equip students with the skills and support needed to develop business ideas. It will also provide a training base for local businesses to embed key skills through student-led business clinics, such as Loughborough Students’ Union’s social media programme which has already supported 80 companies over the past five years. Santander Universities has provided £50,000 of funding towards the project, which will be used to create open plan, vibrant co-working spaces and an informal bistro area to inspire creativity and collaboration. Charlie Wheeldon, Head of Student and Graduate Enterprise, commented: “With Santander Universities’ very generous support, we can create an ecosystem that helps our students and graduates reach their entrepreneurial potential whilst supporting the local business community. The Enterprise and Entrepreneurship Fund was created to enable universities across the UK to develop ambitious projects that deliver real economic, social and employment benefits. Santander Universities now has over 1,200 university partners spanning across 20 countries. In 2007, Santander Universities was launched in the UK and now has partnerships with over 80 universities, providing over £10m of funding in 2017 to support university staff and students.